What else should you know about Cauliflower? Mark Twain said that “a cauliflower is nothing but a cabbage with a college education.” In a way, this is true. Cauliflower is a non-starchy, cruciferous vegetable like cabbage and broccoli that contains essential vitamins, minerals, and phytonutrients. Cauliflower also has a high content of fiber and B vitamins. The fiber in cauliflower will help with satiety, weight loss, and digestive tract, antioxidants and phytonutrients can protect against cancer and enhance immune system, and choline is important for brain power, learning and memory. We mostly consume the pure white type of cauliflower. The rare variety of cauliflowers is a baby cauliflower, which is a miniature version of regular one, about two inches in diameter. Romanesco cauliflower is a yellow-green cauliflower variety that has a milder flavor than the regular cauliflower. There’s also broccoflower, recognized by its green color of broccoli and with a sweeter flavor that the regular cauliflower. Cauliflower contains a good amount of potassium. One cup of chopped raw cauliflower contains 320 mg of potassium, in comparison to a medium banana that contains 422 mg in 105 calories. With cauliflower, you also receive smaller amounts of thiamin, niacin, riboflavin, pantothenic acid, iron, calcium, phosphorus, magnesium, and manganese. Cauliflowers are an excellent vegetable to include in a diet. These veggies contain glucosinolates, the sulfur-containing compounds that are the reason of the cauliflower pungent smell and flavor. They act like natural pesticides in plants, but when consumed, they act as protectors, and help with DNA damage, and prevent and slow down the growth of cancer cells. 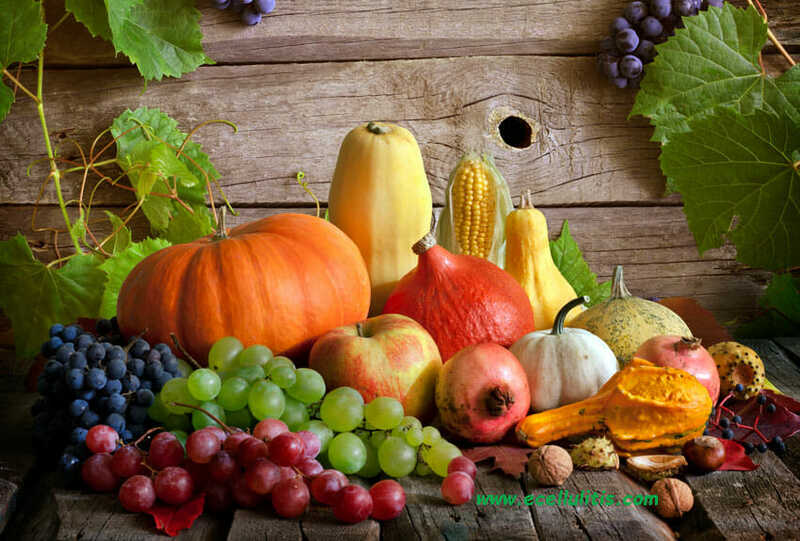 According to a study that is published in Molecular Nutrition & Food Research, glucosinolates have been linked with a reduced risk of colon and rectal cancer. According to several studies that are published in a review in Advances in Experimental Medicine and Biology, 64% of case-control studies showed an association between high intake of cruciferous vegetables and the risk of cancer. Another study that is conducted in China in 2013, showed that cauliflower is useful for preventing breast cancer. Furthermore, consumption of Brassica vegetable assists in reducing the risk of various types of cancers. According to the National Cancer Institute, a high intake of cauliflower has been linked to a reduced risk of aggressive prostate cancer. Vitamin K in cauliflower is important for the bone development, and helps the bone cells produce collagen that protects the bones from inflammation and damage. Collagen may also have therapeutical effects in treating osteoarthritis and osteoporosis, according to a review from the Division of Rheumatic Diseases of the University of Cleveland. Cauliflower is rich in vitamin C that is important for the production of collagen and also effective for treating patients with rheumatoid arthritis. Cauliflower can promote good cardiovascular health due to several important nutrients. Vitamin K, that has anti-inflammatory properties, is also important for blood clotting, while the deficiency of vitamin K can cause hemorrhages. Researchers also suggest that this vitamin may decrease the risk of heart disease, although more research is needed. Sulforaphane in cauliflower is also important for cardiovascular health. A review published in Oxidative Medicine and Cellular Longevity found that anti-inflammatory activities of this compound may help protect against hypertension, stroke and myocardial infarction. Glucoraphanin has anti-inflammatory properties and help to prevent the accumulation of lipids in the blood vessels, thus reduce the risk of atherosclerosis. Besides vitamin C, cauliflower contains many anti-inflammatory nutrients to help keep inflammation, including indole-3-carbinol. According to a recent study, these compounds have anti-fibrosis, anti-tumor, antioxidant, detoxification, and anti-inflammation effects. Cauliflower contains more anti-inflammatory compounds: beta-cryptoxanthin, beta-carotene, caffeic acid, ferulic acid, cinnamic acid, quercetin, kaempferol, and rutin, which lower oxidative stress and help the body get rid of free radicals. As a good source of choline, a B vitamin, cauliflower is essential for the development of brain. Phosphorus in cauliflower repairs cell membranes and can improve sleep, and learning, and boost memory. Choline helps in maintaining the structure of cellular membranes and assist in the transmission of nerve impulses. Potassium is also important for maintaining brain health as it promotes proper communication in the nerves. On the other hand, vitamin K has the potential to influence psychomotor behavior and cognition as found in the review published in BioFactors. Studies with animal models found that the presence of choline during pregnancy stimulates the brain activity. Cauliflower contains indole-3-carbinol which is a phytonutrient that helps activate and regulate the function of detoxifying enzymes. 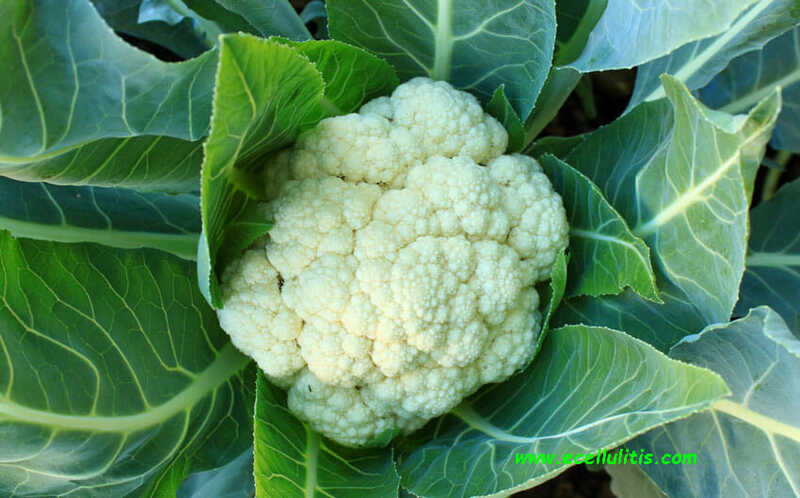 Together with sulforaphane and other compounds such as glucobrassicin, glucoraphanin, and gluconasturtiin, cauliflower in diet can help the body detox, supporting the liver. Dietary fiber is found to be beneficial in treating constipation, and cauliflower is rich in fiber and water content. The combination of fiber and water help to maintain a healthy digestive tract, lowering the risk of colon cancer. High fiber intake is also associated with a lower risk of developing coronary heart disease, stroke, diabetes, and obesity. Glucosinolate can aid in protecting the lining of the stomach, decreasing the risk of different digestive disorders while sulforaphane can stimulate digestion by preventing bad bacteria and allowing good bacteria to thrive. Several studies showed that cauliflower is good for healthy digestion. With only 29 calories per cup, low levels of sugar and carbohydrates, zero grams of fat, and high fiber content, cauliflower is an excellent choice for people trying to lose weight. As cauliflowers stimulates bowel movement and reduces constipation, keeping excess waste or water out of your body, these vegetable has anti-obesity properties. The Journal of Nutritional Biochemistry published a study that found that consumption of cauliflower helps to stimulate fat-burning process and prevents obesity. The lower levels of potassium are associated with a higher risk of diabetes and regular consumption of cauliflower can thus reduce the risk of diabetes. Potassium and sodium help in regulating glucose metabolism and vitamin B6 in cauliflower can enhance glucose tolerance in patients with gestational diabetes. The study found that a higher intake of food rich in vitamin E may reduce the long-term risk of dementia and Alzheimer’s disease. Indoles and sulforaphane can reduce the progression of neurodegenerative diseases, activate the detoxification enzymes, and help in treating the neuronal injuries caused by oxidative stress. ● Cooking decreases the nutritional value of cauliflower, destroying most of vitamins. If you cook cauliflower for thirty or more minutes, you will reduce the health benefits by 75%. ● When buying cauliflower, pay attention to the leaves; vibrant and fresh leaves indicate that the veggie was recently harvested. ● If cauliflower has a strong smell, it is past its prime. ● Complex carbohydrates in cauliflower do not get broken down entirely in the digestive tract and can result in bloating and the release of odorous gas. ● Cauliflower may cause a severe allergic reaction. Itching, swelling of certain body parts and breathing complications are common warning signs.